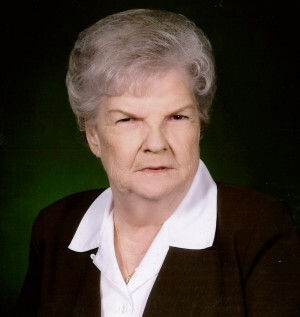 Mrs. Orlene W. Boyd, age 83, of Valley, AL passed away on Monday, April 15th, 2019 at St. Francis Hospital in Columbus, GA. She was born on July 18th, 1935 in Wedowee, AL. Mrs. Boyd is survived by her two sons, Neal (Teri) Boyd and Ken Boyd; her granddaughter, Amy Baker; her two great grandchildren, Taylor Baker and Lane (Laurel) Baker; her two brothers, Edward Waldrop and Ruel (Pearl) Waldrop; numerous nieces and nephews and grandnieces and grandnephews. She was preceded in death by her husband, James A. Boyd; and her son, Joel E. Boyd. Mrs. Boyd lived in the Valley community for over fifty years and was a former employee of West Point Pepperell’s Fairfax Mill. She enjoyed helping others and was a devoted wife, mother, grandmother, and great grandmother. Funeral services will be held on Friday, April 19th, 2019 at 2:00 PM (EST) at the Johnson Brown-Service Funeral Home Chapel in Valley. The Reverend David Waldrop will officiate. Interment will follow in Resthaven Cemetery. The family will receive friends Thursday evening from 7:00 until 9:00 PM (EST) at the Johnson Brown-Service Funeral Home in Valley.